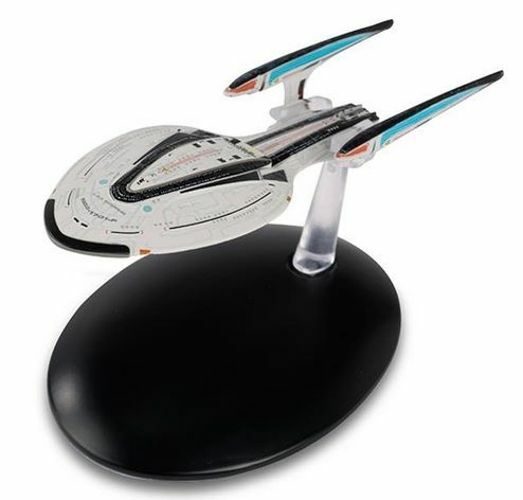 Star Trek Official Starships Collection USS Enterprise NCC-1701-F Variant Starship Bonus Edition from Eaglemoss. 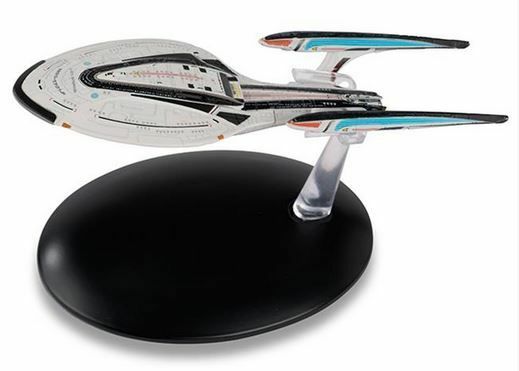 Designed to be the hero ship in Cryptic Studios free-to-play, MMO-RPG STAR TREK ONLINE, the Enterprise-F has a unique origin. 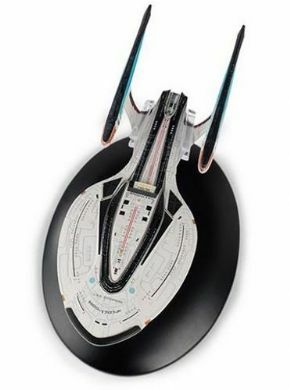 Through Cryptic’s “Design the Next Enterprise” contest in 2010, fans had a chance to design the next iteration of the Enterprise for the game. The winning design came from Adam Ihle for this Odyssey-class cruiser.